The Pip teaches you how to manage your stress better. It allows you to see your stress levels, connecting your emotions with engaging apps, teaching you not only how to recognize stress, but to know a life without it. The Pip comes with a selection of engaging Apps each integrated with My Pip – your cloud platform for better living. Each of the apps have been created to help you de-stress, refocus and learn to better manage stress. Using your device, log onto either the Google play Store or the Apple App Store. Learn more at our Frequently Asked Questions. Once you have chosen one of our companion apps you can connect Pip via Bluetooth to your mobile device. The app will prompt you to pair and guide you through the process. Once paired, the apps will automatically remember your device. 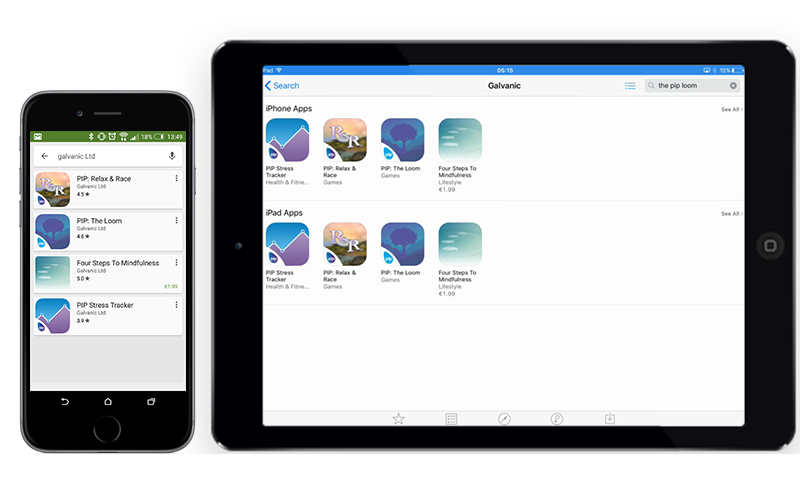 Launch one of our Apps and hold the Pip between your thumb and index finger. 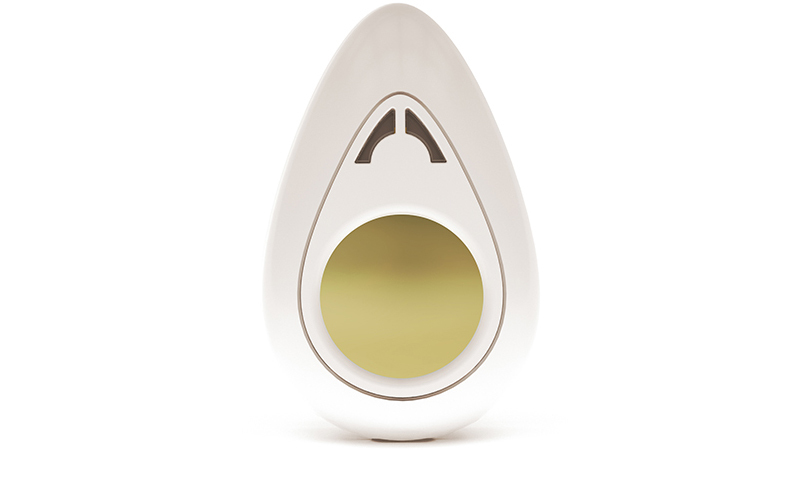 The Pip detects if you’re focused and relaxing, or if you’re stressed and your mind is wandering. This influences your in-App progress. The more you relax, the better you progress.The Apps respond to your changing stress levels, using both audio and visual feedback. At the end of your Pip session, you can review your Pip score; see a detailed breakdown of stress, relaxation and stress events; and add a note to your session. My Pip provides deeper insights and data into your performance and progress, encouraging and motivating you as you learn to better manage stress. Seeing really is believing. Practice every day with the Pip and you will see yourself change. By learning to retrain your attention and emotions for the better, you can control your reaction to stressful situations, leading to a richer, fuller life.